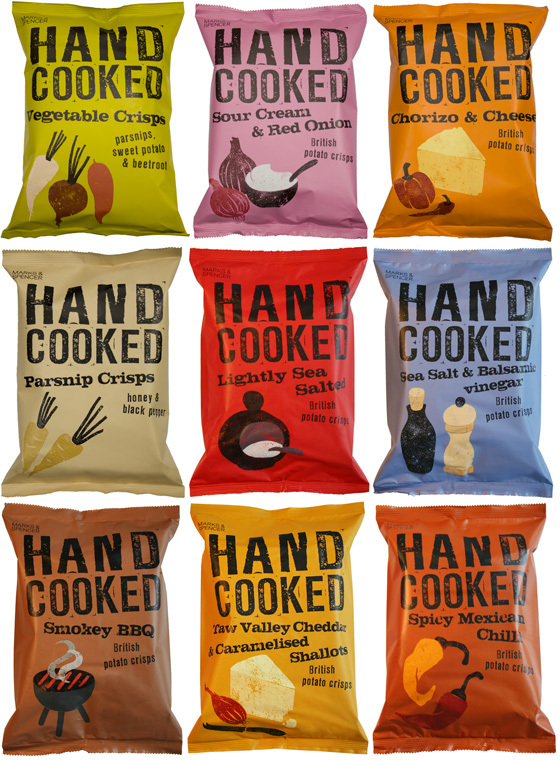 A range of handcooked crisps for Marks & Spencer with distressed type and illustrations and bold contrasting colours which have great shelf impact. I worked on the illustrations for these too. 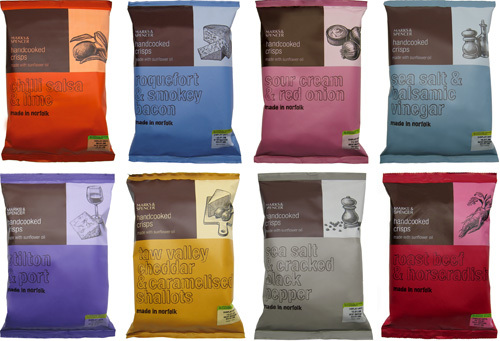 M&S products were redeveloped frequently, so the packaging design needed to be updated too – I worked on these previous two handcooked ranges also. 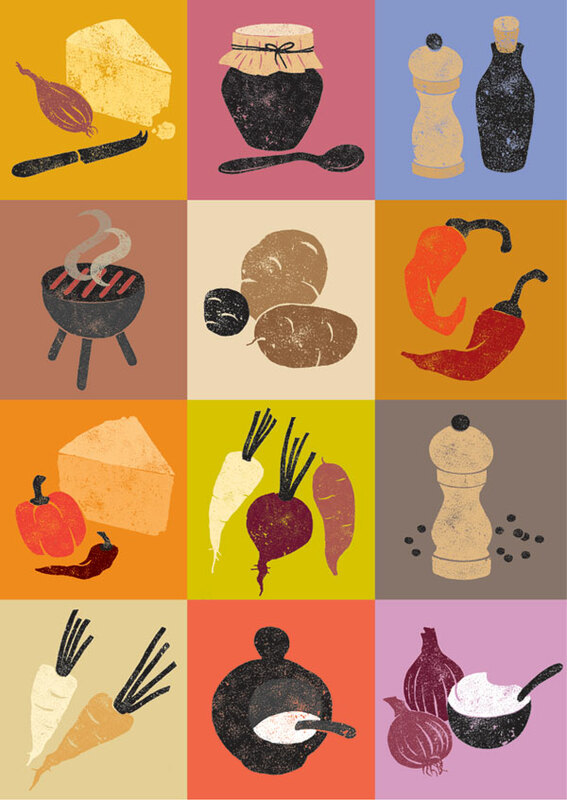 At various stages, all M&S packaging followed set guidelines, in an effort to give the products a strong brand presence. These guidelines changed and evolved over time. The above 2 designs both adhered to 2 different sets of guidelines, one which restricted all typography to 2 fonts only (Optima and Avenir, since you ask) and another which was for products in certain categories to fit within a grid system. These guidelines also restricted font use, to helvetica. Subsequently the guidelines were relaxed, allowing more freedom and a subtler and more sophisticated collection of packaging in-store but which still retains a strong M&S own-brand feel.